There’s more to the story than that, but to mention any more would be a shame in terms of spoiling things, even if what does follow is disappointing in terms of the plot and Stone’s development as a character. Suffice it to say there follows a series of cliffhangers, and even though you can probably guess that Stone makes it back to Earth – doesn’t she? – it’s the way in which it’s arrived at that stops Gravity from being better than expected. Thankfully, the visuals are superb, with space represented, if not accurately, then with a verve and a verisimilitude than adds to the (mock-)realism. The scenes where Stone is tumbling through space after the debris strike, where Earth seems to be tumbling around her as much as she is, are breathtaking, as is the opening sequence where the camera appears to be roving around the Hubble telescope in a dizzying whirl of images. As the movie continues, each scene is a feast for the eyes, with a standout moment coming when Stone reaches the ISS and the camera’s point of view – roving around Stone at first – suddenly becomes her point of view from inside her helmet (in 3D this effect is even more impressive). 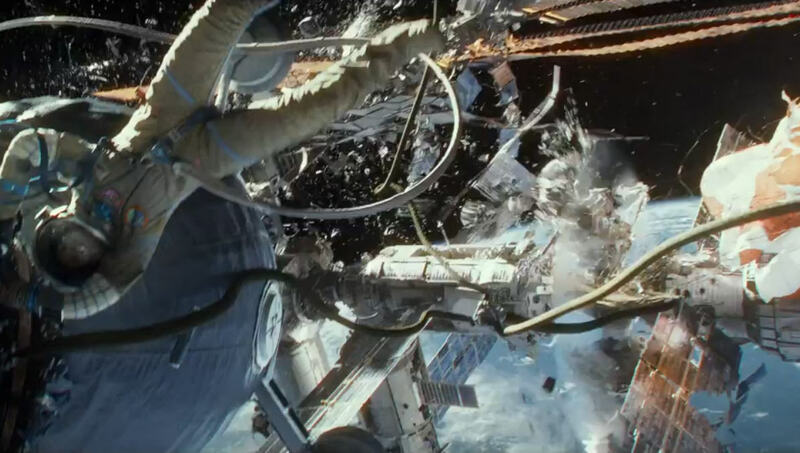 The technical advancement on view is nothing short of incredible and come the awards season, Gravity should be a shoo-in for pretty much every technical award going. The amount of work director Cuarón, director of photography Emmanuel Lubezki and visual effects supervisor Tim Webber have put into creating “space” as it’s never been seen before, close-up and frequently terrifying, has resulted in a movie that is both beautiful and astonishing to look at. But still there’s Stone’s character and back story, neither of which inspire much of a connection, and stops the audience from empathising with her as much as needed. She remains a fairly reticent, removed character from beginning to end, and while Bullock does her best to project a degree of steely vulnerability, she never quite manages it; Stone only “steps up” in the final ten minutes and even then it seems forced rather than the organic conclusion of her journey for survival. Equally, Clooney isn’t best served by the character of Kowalski, a glib would-be raconteur with a story for every occasion that belies, and even undermines, his experience as an astronaut. 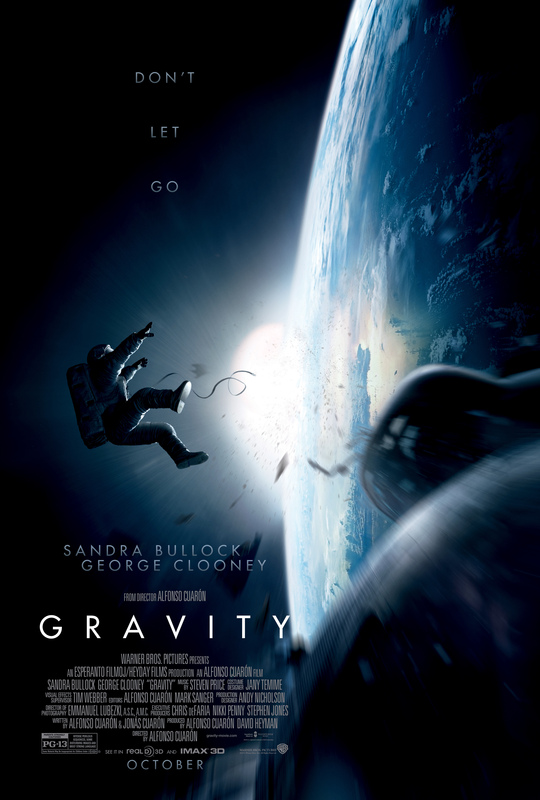 Rating: 7/10 – seen in 3D, Gravity is a genuine cinematic experience, and all the more impressive for being converted in post-production. There hasn’t been such an exceptional 3D movie since Avatar. It’s a shame then about the muted characters and the undercooked storyline.